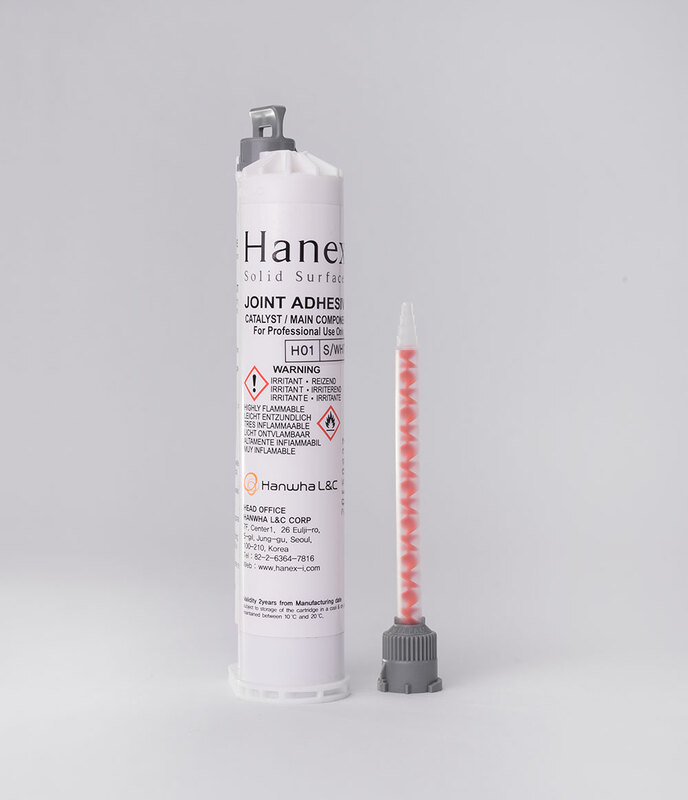 HANEX® Adhesive is available in sizes of 75ML and 250ML in Cartridge Type or Tube Type. Provides excellent adhesion performance & weather resistance. Extensive ranges of colors are available to match any of Hanex® solid surfaces providing seamless design. 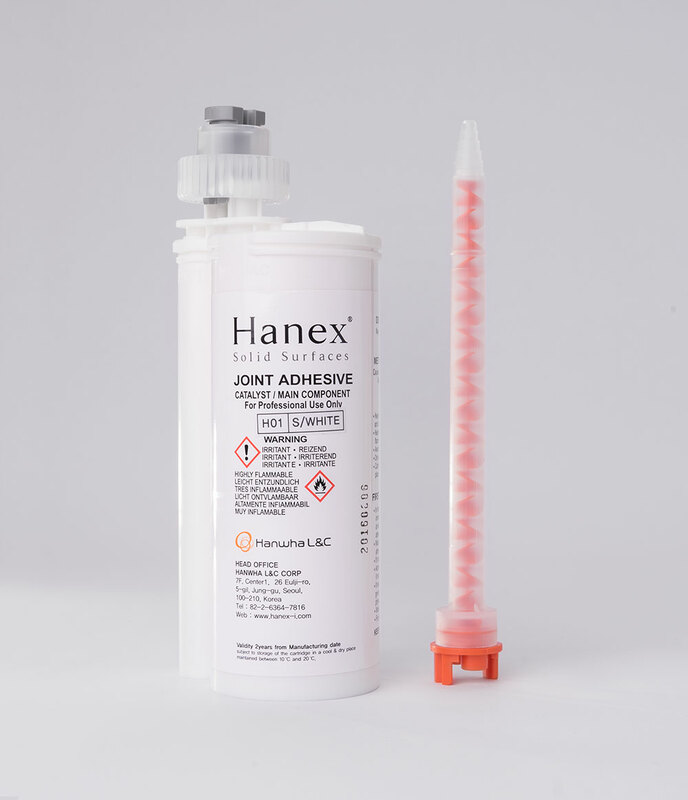 Our adhesives have superior performance making it easy to fabricate solid surfaces and provide seamless design. We offer adhesives in various colors for each different sheet.